So, i now installed the mobile press plugin, and now my website is now re-organized for all mobile browsers! This inludes opera, windows mobile & the iPhone. It will be seamless to you, as it will automatically poke around to see what browser you are using, and change accordinly. 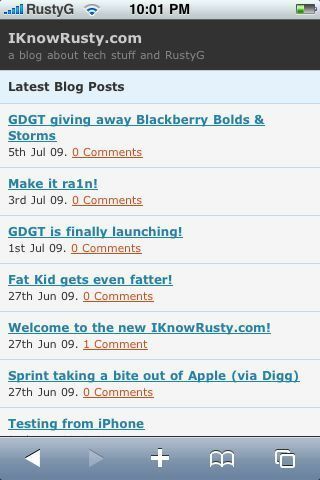 So next time you get a chance, check out IKnowRusty.com on your mobile today!